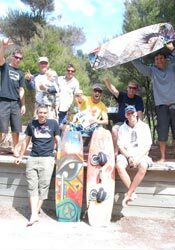 Airzone Kitesurfing School provides kitesurfing, landboarding and kite buggying courses. We are based on the UK’s south coast, between Portsmouth and Southampton, just over an hour’s drive or train ride from London. 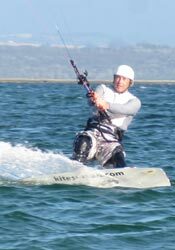 Our approach is all about having a great experience while learning enough to set you free to continue kitesurfing on your own. Our chief instructors Berny and Zoe have been BKSA instructors since 2002 and 2003 respectively, bringing a huge amount of experience and skill to the school. Hill Head, near Fareham, Hampshire. Less than 1.5 hours from London – we can pick up from Fareham station. Lychgate Green, Titchfield, Fareham, Hampshire. Open all year round in the UK, November to March in New Zealand. 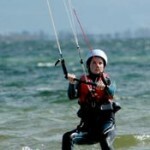 Facilities: All kites, boards, helmets, buoyancy aids and harnesses are provided. 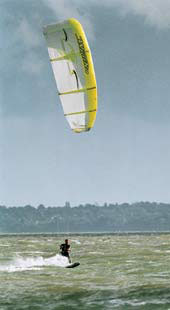 We use the latest equipment including bow kites for the safest and easiest way to learn. Wet suits and booties are available on request. There are cafes and toilets close to the beach location and accommodation, changing facilities, showers and classrooms at the school. Our Thunder Cat boat provides a safe and spacious platform for teaching and rescue. 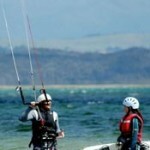 3 day course – Become self sufficient as a kitesurfer, able to continue to develop safely and confidently on your own. 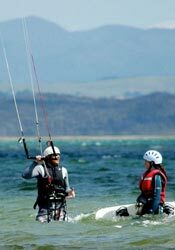 Includes set up and familiarisation of your own equipment if you have it.2 day course – Learn how to fly the kite, safety systems and self-rescue and begin to get on the board.1 day taster – A fun experience day and an introduction to the sport. 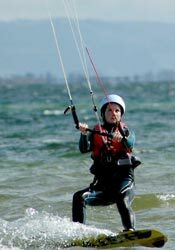 You get the excitement of rushing through water being pulled by the power of the kite, but not the safety training necessary for progression on your own as a kitesurfer. Each day consists of 4 to 5 hours’ tuition depending on group size, with breaks for lunch and refreshments where applicable. We work around low tide, so start and finish timings depend on the tide times for each day. Maximum group size is 4 per instructor. 3 day course – £250 2 day course – £180 1 day taster – £99 1 to 1 coaching £50 per hour. If the wind does not blow on the day of your lesson, you do not lose out. 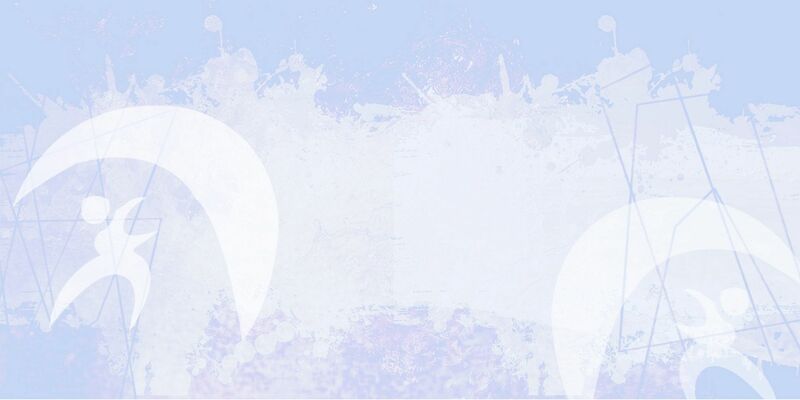 We simply rearrange your lesson for an available date that suits you. 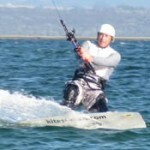 Power kiting, landboarding and kite buggying – £35 per hour (minimum 2 hours). Vouchers for £10, £25 and £50 towards a course are available, as are vouchers for full 1, 2 or 3 day courses. The ideal present whatever your budget! We have self-contained accommodation available from £30 per person per night – please ask for details. South Westerly is best, though we can teach from South Easterly to Westerly. We teach from the shore three to four hours either side of low tide. Are available on request and can be tailored to your requirements.